Authors can participate for free. Signing up and participating is easy. Readers and gift-givers just need to browse the Read Tuesday catalog in early December. Find the books you like here, but buy them at Amazon or Smashwords like normal. Except for saving big, of course. To help spread the news, we have a ThunderClap promotion scheduled for the morning of December 9. Our ThunderClap currently has a social reach of over 300,000 through 100 supporters (thank you, everyone), with 18 days left to improve these numbers. We have our sights set on a million, and we’re nearly one-third the way there. What the ThunderClap does is announce the big Read Tuesday sale by synchronizing posts on Twitter, Facebook, and Tumblr. It’s easy to add your support (see below). The ThunderClap promotion is just one way to spread the news about Read Tuesday. Word-of-mouth from authors and readers alike really helps. If you’re looking forward to huge book savings on Read Tuesday, tell your friends. Attention readers and authors! You won’t want to miss Read Tuesday on 12/09/2014. Help support READ TUESDAY and make it a great 2nd year. You’re welcome. By the way, figured out why my 3rd book isn’t doing the Kindle Countdown yet. It’s going to renew KDP next week and you’re apparently not allowed to set sales that go beyond the entry period. Huge sale for all the readers on your Christmas list! Help spread the word! May Santa give the gift of reading this year. 🙂 Thank you. Thank you, Chris, and you’re very welcome! It’s a great cause and everyone wins! Signed up! Watch http://www.sallyember.com/blog on 12/8/14 for my #READTUESDAY deals and sale, starting 12/9! When Story Reading Apes are supporting Read Tuesday, you know it’s a big event. 🙂 Thank you. Time to add your books if you are an author and get ready to support and browse if you are a reader! KMGN: Always happy to pass along news about books and authors. 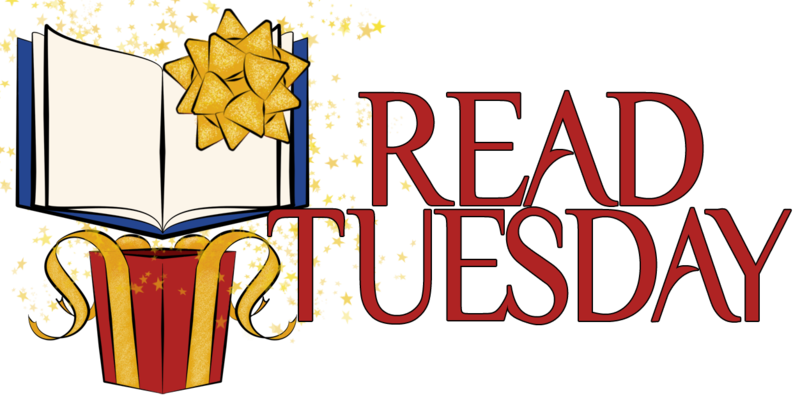 Have you heard of Read Tuesday? It’s a Black Friday/Cyber Monday event – only just for BOOKS! Mark Tuesday, December 9th down on your calendars book lovers – there’s bound to be some fantastic deals to be found! Fans and followers of my blog can stay tuned for updates regarding my personal promotions for the event – to be posted just before the event launches! I want to do a blog post for Read Tuesday, so how can I get the catalog of the participating authors where my readers can purchase the author’s books?